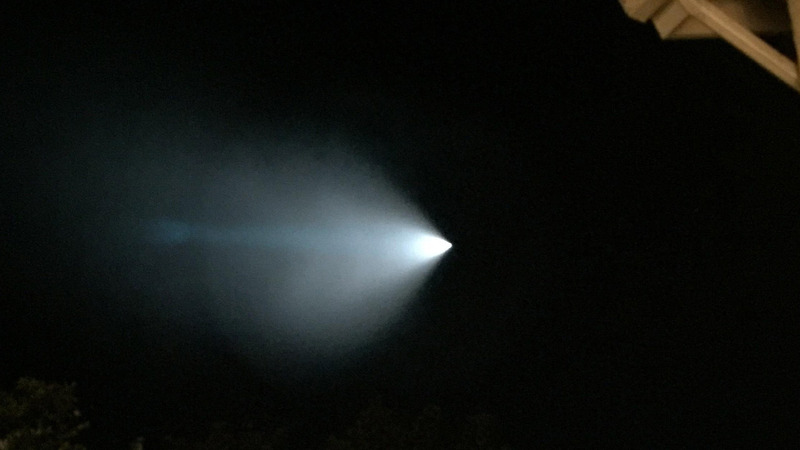 LOS ANGELES -- A rocket launch left hundreds of people perplexed as it caused a bright light to streak across the sky Saturday night. The U.S. Coast Guard Sector of Los Angeles and Long Beach confirmed it was a rocket launched from a Naval base. Residents from Ventura to as far as Nevada and Arizona took photos and videos of the strange phenomenon around 6 p.m. The Orange County Sheriff's Department tweeted out that the light was a test conducted by the U.S. Navy off the coast. The Malibu-Lost Hills Sheriff's Station tweeted that there were military exercises being performed off the coast of Catalina Island, while an astronomer at Griffith Observatory said it could be a comet or meteor. Jonathon Payne said the light, believed to be a single comet, is a precursor to the Taurid meteor shower that is expected this month. When a comet comes into the atmosphere, it is normal for there to be a white light and then a blue and green streak, according to Payne. Vandenberg Air Force Base did not launch any rockets Saturday evening, according to a representative.